Hey there, folks — I’m going to take off until next Tuesday on account of work and travel. Yes, travel, again, to BookCon in New York, and also to the Bay Area Book Festival in Berkeley. I’ll be on one coast one day and the other the next. And they say the age of the jet setter is behind us. It’s not! It’s just the jet setter will be smooshed into an economy seat. Ah, the romance of air travel. In any event, see you next Tuesday. Be decent with each other until then, okay? Thanks. 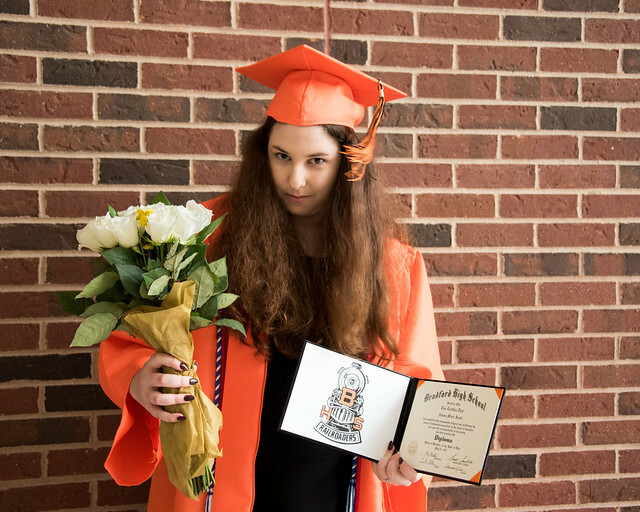 Yup, she did it, and here is the photographic proof — a photo set with her (and Hunter, her boyfriend) before, during and after the graduation ceremony. Enjoy it as if you were there your very own self! Athena’s high school graduation ceremony is today and this is the song running around in my head about it. Big day, folks. Pictures later, perhaps. 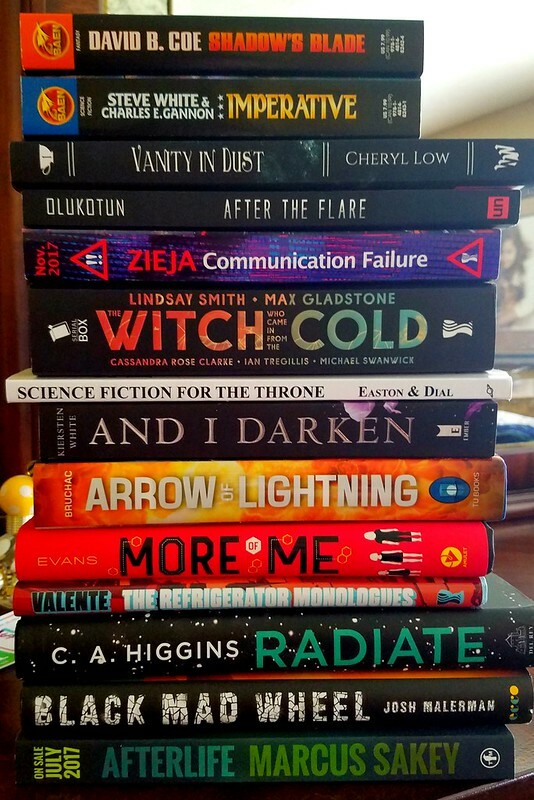 As we ease into a long weekend, here’s a very healthy stack of new books and ARCs that might ring your bell. Call out the ones you’re interested in down in the comments! Suddenly, books! What in this particular stack is catching your interest? Let everyone know in the comments. In my dream last night, I was annoyed at my cats for not sufficiently appreciating the in-ground pool I had installed specifically for them. Travel expands the mind — or so they say. What would Dan Moren, author of The Caledonian Gambit, have to say about that particular truism? 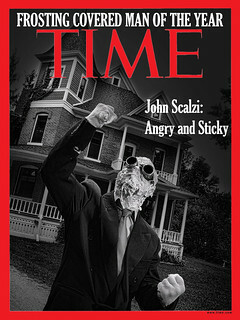 As it happens, he has a story on the topic, one that has bearing on the story he tells in his novel. In January 2001, during my junior year of college, I got on a plane for Scotland. This was significant for a few reasons. For one thing, I’d never left the country before. For another, it was only the second plane flight I’d ever taken, and the previous one had been nearly a decade earlier. And even more to the point, I wasn’t just going for a week’s vacation—I was moving there for an entire semester. I was terrified, and had a minor anxiety attack in the car on the way to the airport. But I got on that damn plane anyway. Looking back on those months now, I tend to view them fondly. The years have dimmed the intense feelings of isolation and loneliness incurred by the several-hours time difference, not to mention the ocean, that separated me from my friends and family back home. My floormates were welcoming enough, but I was so overwhelmed with everything that was new and different that I retreated into myself, spending most of the time that I wasn’t in class exploring the city on my own. From the vantage point of a decade and a half later, I still wouldn’t trade that experience for anything. For one thing, it gave me a real taste of leaving home. It made me more self-reliant and resilient, and taught me that I am capable of handling whatever life throws my way. I made friends with my floormates eventually, and I got to travel not only around Scotland and England, but also around a host of countries in Europe, an opportunity I probably wouldn’t have had otherwise. But for all of that, I have never been quite so glad to come home at the end of the semester. If I’d felt a little more assured about the cleanliness of the airport floor, I would have dropped to my knees and planted a big fat kiss on it. It was only a year after my time in Scotland that I first started sketching out the idea for a big sprawling space opera—a series of books inspired by the likes of Timothy’s Thrawn trilogy and Lois McMaster Bujold’s Vorkosigan Saga. I wanted to create a universe that felt real, felt lived in, because that was what I loved about those stories. 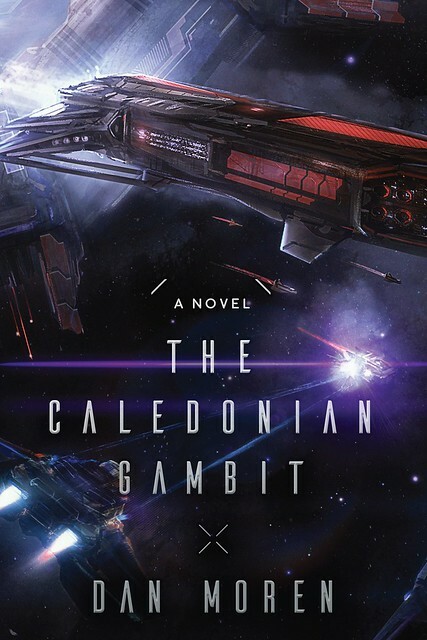 But as I started writing the first draft of what would eventually, many years later, become The Caledonian Gambit, I realized that the story of a washed-up pilot and the squad of covert operatives with whom he teams up didn’t really feel like those stories. Instead it felt hollow—like it had no sense of place. Even set as it was against the backdrop of a galactic cold war between two human factions—the bellicose Illyrican Empire and the ad hoc Commonwealth assembled to oppose it—it needed a more concrete anchor, a sense of what these sides, and the characters that served them, were fighting for. It wasn’t until several years afterward that I finally found the heart of the story, and it came from looking back at my time in Scotland. I realized that this wasn’t just a story about big galactic conflicts, but about the smaller challenges that we all face. It was a story about going home. Eli Brody, the protagonist of The Caledonian Gambit has been away from home a lot more than six months—try nearly ten years. He couldn’t leave his homeworld of Caledonia fast enough, even if escaping that dirtball meant joining up with the very forces that had invaded and occupied it. And he would have been plenty happy—or, at least, so he told himself—never to set foot on that planet again. Until covert operative Simon Kovalic shows up and asks him to do just that. Kovalic’s a man without a home, too. He’s from Earth, which, like Caledonia, has been under the thumb of the Illyrican Empire for two decades. Unlike Eli, Kovalic’s dedicated his life to fighting back, trying to reclaim the home that he had to flee when the Imperium came. In fact, everybody in The Caledonian Gambit is fighting for their home in one way or another. Both Eli and Kovalic’s homes exert a gravitational pull on them, as if keeping them in a long, irregular orbit. 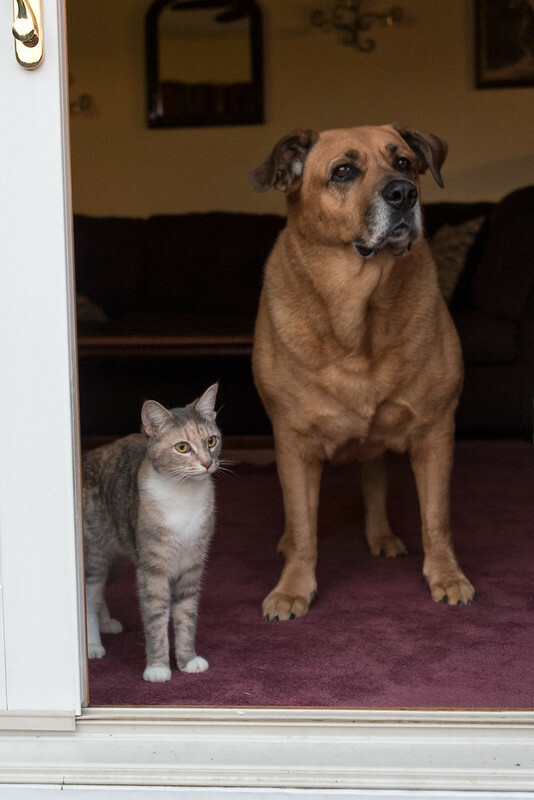 Ultimately, they’ll swing back around and have to come to terms with the homes that they left behind. And neither of their homecomings is likely to be as much of a relief as mine was. As much anxiety as I had about moving to Scotland, the years have shown me that leaving home is an integral part of figuring out who we are. Even if we ultimately end up returning, well, you have to leave in order to come back. In stories, the hero’s journey is predicated on this idea, but it’s no less true for our own lives. Whether our home is as small as a patch of dirt, or as big as an entire planet, there is—as they say—no place like it. The last couple of weeks have been genuinely and literally amazing as far as news goes — so much happened every day, of such importance to the nation, that it’s been hard to keep up or to process it all, or (and this is important) to get into a frame of mind to do a whole lot of work. The very last of these is not great for me, as I have a book due soon. 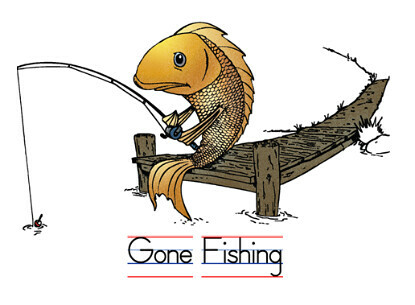 So this week I’ve decided to go on a news diet; basically, to not go out of my way to read news or to follow it on Twitter or other social media (I’ve also muted the word “Trump” on Twitter, to aid in this project). I’m sure some of it will leak in regardless; I’m just not going to go out of my way to find it. What I’m saying is, I’m going to go ahead and let everyone else be on top of things for a bit while I recalibrate and try to get my work/outrage balance back into whack. This is, incidentally, something I suggest everyone does from time to time (I mean, if your job doesn’t actually involve writing about the news), especially these days when just the daily dose of news can be overwhelming. Pace yourself, folks. It’s going to be a long haul. 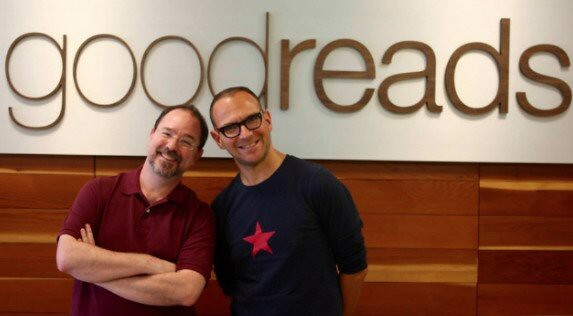 Because when we were on tour together, we went to Goodreads and talked! Here’s the interview. 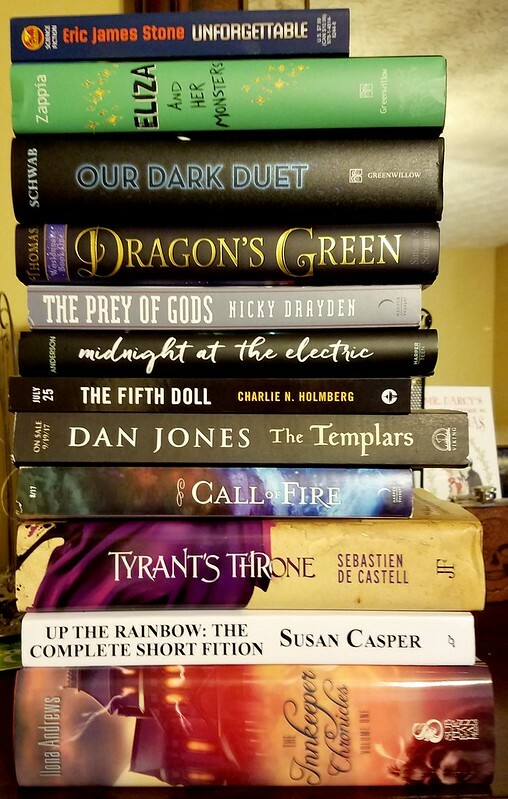 Heading into a very fine weekend, and what better way to do that then with some very fine books and ARCs? 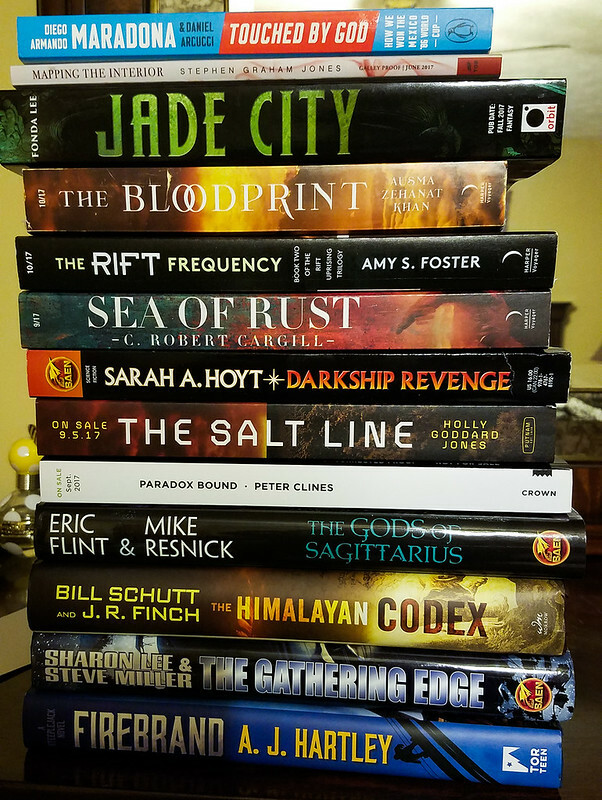 Tell us what in this stack is beckoning you to read it! And she’s happy to see you. And a little squinty, as I took the picture in full daylight and she prefers her sunglasses for that. But, you know. Good squint, I’d say. Creating alternate histories are no small matter, especially when your series of books features a different version of the Roman Empire landing in North America. 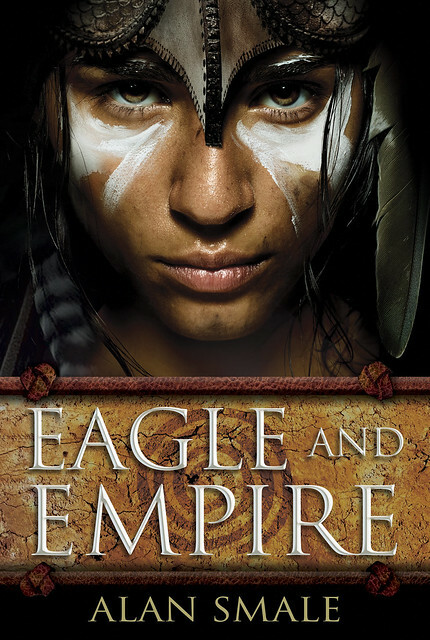 Now in Eagle and Empire, the third book of his Clash of Eagles series, Alan Smale talks about the challenges of writing different past — and making more history as one goes along. 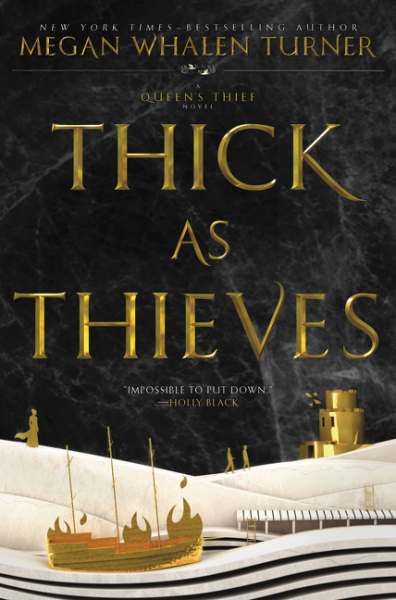 I’ve long had a fascination for books that tear up the world and patch it back together differently, for really large alternate histories; not picking my way gently forward as changes begin to ripple from a point of departure deep in the Napoleonic Wars, say, but witnessing the far-downstream effects of a giant splash. Those are the tides I’m riding with the Clash of Eagles trilogy, in which the Roman Empire survives in its more-or-less classical form through to the thirteenth century, and is now trying to open up Nova Hesperia – North America – with substantial assistance from the seafaring Norse who “discovered” it first. The point of departure for my alternate timeline is way the heck back in 211 A.D., with Geta defeating his malevolent brother Caracalla after a decade-long firestorm of a civil war that nearly splits the Empire. As Emperor, Geta then ushers in extensive reforms. His actions unwittingly ward off the Crisis of the Third Century while strengthening the Empire against “barbarian” invasions, and, sure, I have Appendixes in the Clash of Eagles books laying out the details. 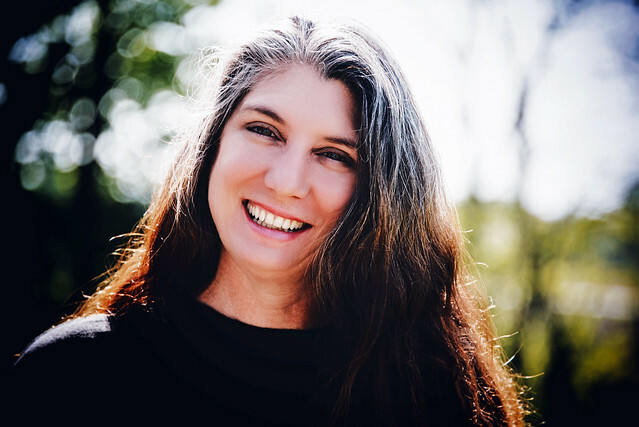 But my characters don’t spend a whole lot of time rehashing the dusty events of a thousand years past – they’re much too busy running around and dodging pointy missiles and trying to stay alive. So, let’s review: in Clash of Eagles, Gaius Marcellinus and his legion march in from the Chesapeake Bay and get their rear ends handed to them, first by the Iroquois, and then by the warriors of the great mound-builder city of Cahokia, on the banks of the Mississippi where St. Louis is now. For Book One, the Big Idea was: “Ancient Rome invades North America when the Mississippian Culture is at its height.” In the second book, Eagle in Exile, Marcellinus is – as you might guess – largely separated from Rome and from his new Cahokian home base. There’s a coup in Cahokia, and a vicious despot replaces the more measured and even-keel Great Sun Man who originally kept Marcellinus alive. Okay, so welcome to Book Three, Eagle and Empire. More legions have marched into Nova Hesperia by way of the Chesapeake and the Gulf of Mexico, commanded by the Emperor Hadrianus III himself. But meanwhile, meanwhile, the Mongol Horde is landing on the west coast and crossing the Rockies. Having had his plundering ambitions in Asia thwarted by the solid power of Rome, Genghis Khan has set his sights on the brave New World, and so one aspect of the Eagle and Empire Big Idea is “a titanic confrontation between the Mongol Horde and the legions of Rome on the Great Plains of North America,” a terrain which naturally benefits the nomad horsemen of the Khan. Needless to say, the various nations and tribes who were already living on the Hesperian continent have their own very strong opinions about all this, and have continued to take independent action. Cahokia is now first among equals of a great Hesperian League, an alliance between disparate tribes that in the past sometimes made war with each other and sometimes simply ignored one another, but who are now forced to work together to resist the dual (and dueling) forces stomping all over their various territories. Other tribes cast their lot with Genghis, for various reasons, and so the stage is set for all manner of internecine carnage. But now let’s home in on the human element, the soul of the story, behind all the cut and thrust and steel and shine. Geopolitics aside, Marcellinus has a basic and central conflict between his old life as a Roman general , and his new life of family and community in Cahokia. He has friends and loved ones, duties and responsibilities, and many of these people and factors are at odds with one another. He has sworn several oaths he can never break, but even some of those oaths collide. The three Cahokian children who were tasked with learning the outsider’s language back in Clash of Eagles have grown up to become influential in Cahokian society by the time Eagle and Empire begins. Tahtay is now War Chief of Cahokia, and a leading figure in the Hesperian League. Kimimela is a warrior and budding clan chief; she’s Marcellinus’s adopted daughter, but spends more time opposing him and working around him than chatting cheerfully with him by the camp fire. And then there’s young Enopay, not at all martial but empathic about people and an all-around smartypants: as a sometime-admirer and sometime-manipulator of key Romans, he also has his part to play in how this all resolves. So another Biggish Idea that threads through Eagle and Empire is the complex interaction-space between all these different people (and peoples), their differing beliefs and motivations, and the irresistible-force-meets-immovable-object nature of Marcellinus’s challenges as a somewhat loyal Roman and eventually-decent human being, deep in the midst of this continent-wide upheaval. 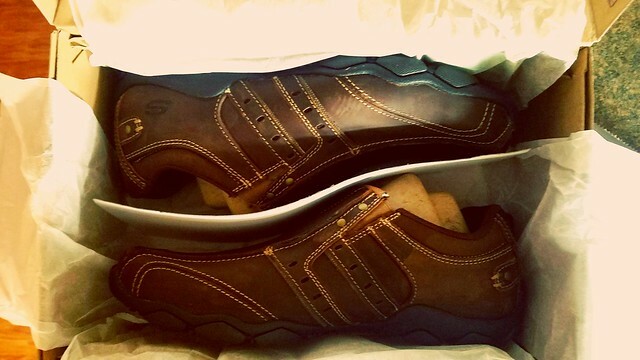 Behold the Sketchers Men’s Diameter Slip-on, size 8.5, which just arrived here at the Scalzi Compound. This is the third pair of these that I’ve gotten, the first having been purchased more or less on a whim three years ago at Sears, back when you could still go into Sears without being crushingly depressed at how far the store had fallen. The shoes are super boring — there’s really nothing that calls your attention to them. I wear them because they’re cushioned and have arch support, and because they’re easy to take off and on at the airport. They are, in effect, designed to be worn by middle-aged men who value comfort over fashion, which is, basically, me. I came to these shoes reluctantly, I’ll note. I was a devotee of Vans slip-ons for years but a few years ago had to come to terms that Vans slip-ons are not actually designed with the “increasingly middle-aged” demographic in mind, since they have zero arch support, and wearing mine to conventions or anywhere else that required lots of walking meant having feet that felt like they were being stabbed by the end of the day. I still love Vans and have a couple of pairs, but I save them for short trips and lazy days. For other every purposes: Super boring, cushy Sketchers above. The funny thing is that when I wear these shoes, every once in a while another middle-aged dude will compliment me on them, and I’ll look down and see him wearing the same shoes. Because he’s a middle-aged dude and he knows. Arch support, man. It’s a thing. 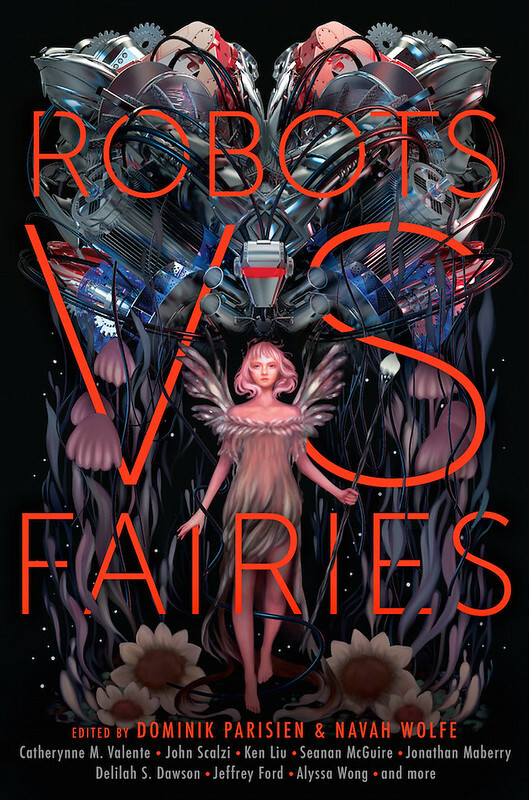 Saga Press today announced a new anthology called Robots vs. Fairies, in which, as you might expect, there are stories about robots, and stories about fairies, and perhaps a few with robots and fairies. 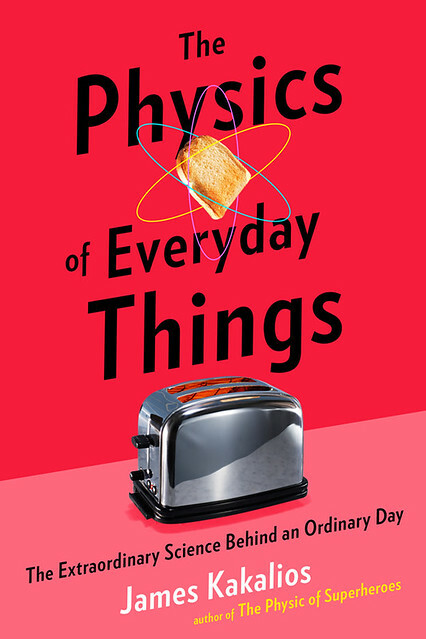 The anthology includes a story by me, entitled “Three Robots Experience Objects Left Behind From the Human Era for the First Time,” which, well. The title pretty much spells it out. 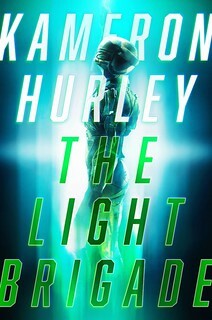 The author line-up for the book, as well as the story of the really very cool cover, is available here on the Barnes & Noble blog; the book itself will be out in January 2018. Something to look forward to in the coming year. 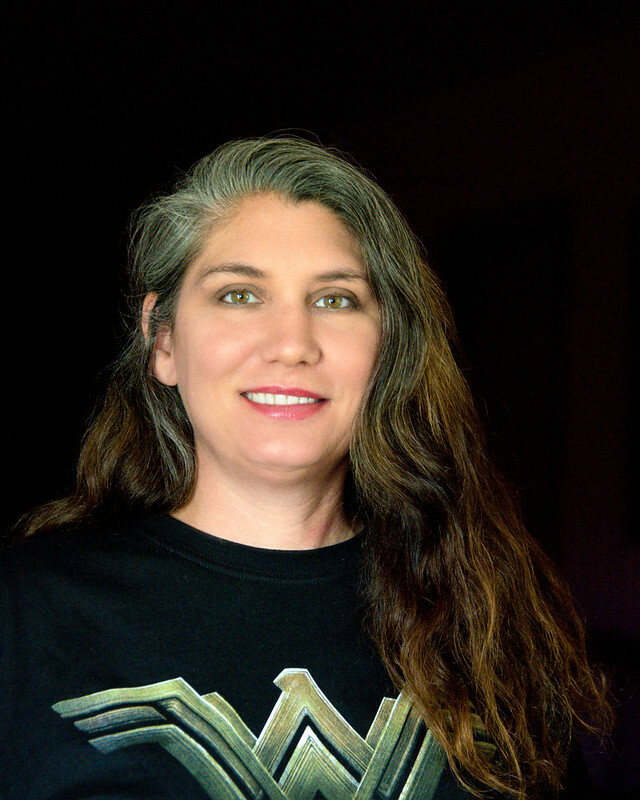 This is my Wonder Woman. To mothers and the people who love them, have a fantastic day.